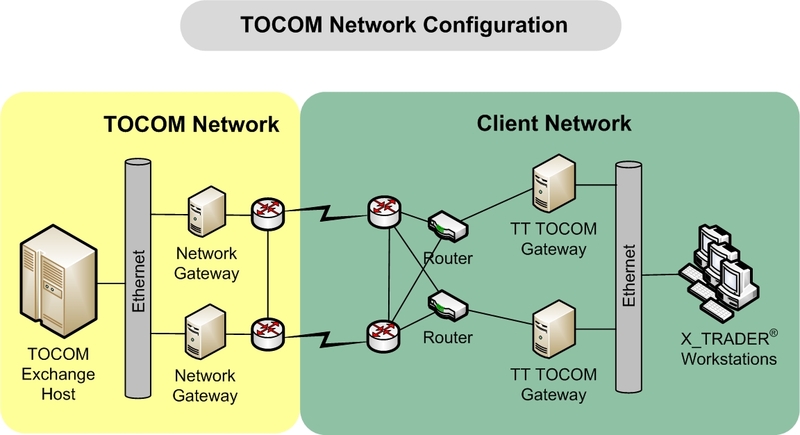 TOCOM Gateways connect to the Exchange via TCP/IP sessions over the Ethernet. Clients must configure and maintain their internal network. TOCOM does not require any additional routers or switches.